When you’re the head of a busy family, your needs often get smushed down to accommodate everyone else’s needs. Your kids need your attention; your spouse does, too. Each day presents a challenge: How can I make it through the day without letting the busyness get to me and my stress level? Groggy, out-of-sorts, rushed,…Do you feel you’re living your life on purpose? Or, do you feel like life is slipping by you by? Gratitude starts your day off on a positive note. Think about things you are grateful for. Move! Get your body moving–especially if you sit behind a desk all day. Journal. 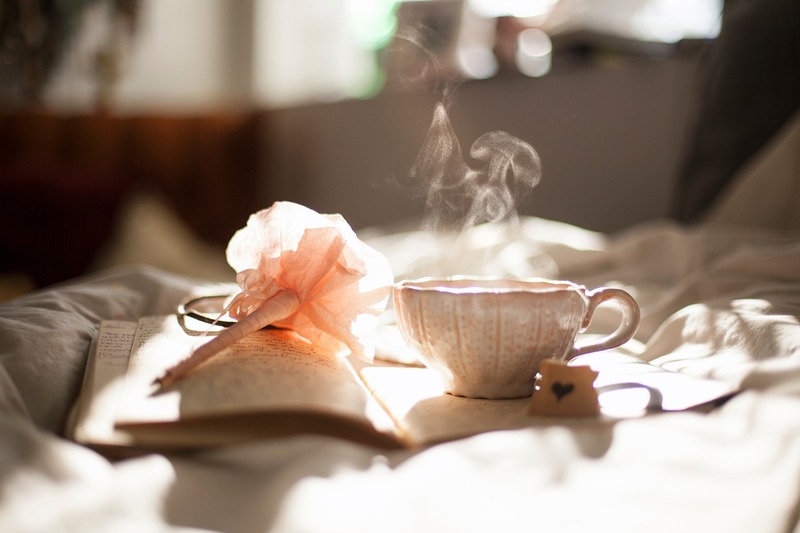 Write down your “morning pages” (Julia Cameron writes of these in her book The Artist’s Way). Write and say some affirmations aloud. Listen to motivational speakers to get your day off to a positive start. Use soap and lotions that are made of your favorite scents. Make something healthy and delicious for breakfast. Engage all your senses during your morning rituals–touch, smell, sight, hearing, taste. Life is a gift and it is too short to spend in default mode. So many people wake up and go about their day unconsciously. You don’t have to live by default. Start creating a meaningful life by beginning your day in a meaningful way.